T-Shirt model from a T-Shirt company I did contract work for. 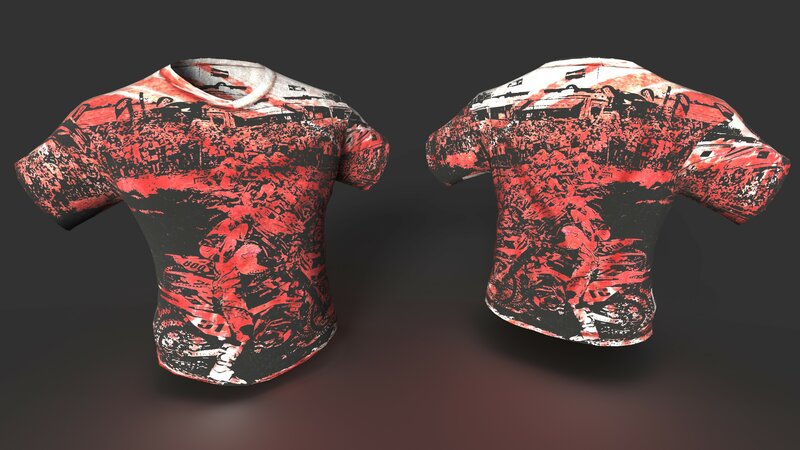 This shirt was used to real-time display user generated art on the shirt and allow them to spin the shirt to preview before ordering. Used on web and mobile phones.